Diagnosis of bipolar disorder is not an easy task and to correctly determine the exact medical condition of the patient, psychiatrists carry out a number of tests. Physical as well as psychiatric examinations are conducted to rule out the possibility of any other disorder. 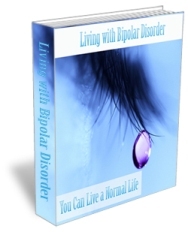 To arrive at the correct decision regarding diagnosis, various bipolar disorder checklists are used by doctors. The first step to be followed consists of checking whether the individual is experiencing extreme mood swings from hyperactivity to acute depression. While it is difficult for the patient to gauge the mood swings, a family member can feel the difference with a little bit of care and effort. Therefore, bipolar diagnosis also depends on the feedback received from family members or other people surrounding the individual suffering from the disorder. In order to identify the bipolar symptoms it is essential to look for certain moods, physical symptoms, behavior and thinking patterns, and change in senses. The bipolar disorder checklist that describes the manic or hyperactive phase can consist of euphoric or abnormally elevated moods. The individual may be easily irritable, argumentative or even excessively stubborn. Insomnia, sudden weight loss or increased appetites are some of the physical symptoms of the manic phase. Behavior patterns also change and the individual might become impulsive, intrusive or reckless. Disorganized behaviour, distraction from work, blaming others without reason, excessive anger are some of the symptoms of the manic phase. During this phase the individual’s thinking pattern changes and there is a rapid shift of attention, poor concentration, memory distortion, and sometimes delusions, especially in the acute stage of bipolar disorder. Sensitivity towards heat, cold and hunger changes along with other mental shifts like having hallucinations. If a combination of the various symptoms in each category is observed in an individual for over a week, medical attention should be sought and identification of the disorder is possible. Similarly the bipolar disorder checklist marks the depressive phase. The changes in mood consist of feelings of sadness, grief, loneliness and irritability. There is also a lack of interest in the daily activities. Insomnia or excessive sleep, increased or decreased appetite, extreme fatigue and loss of energy are some of the physical symptoms noticed during this phase. The behavior of the individual also changes and performance levels drop. There is a lack of motivation and increased feelings of isolation. The individual loses the desire to talk, interact or socialize with others at work or home. Along with changes in the thinking pattern, the patient develops hypersensitivity towards noise, light, stress and often experiences hallucinations in the psychotic stage of the disorder. If a combination of the various symptoms persists for at least 2 weeks as defined by the bipolar disorder checklist, the individual can be diagnosed with the disorder. However, the checklist only provides a guideline for diagnosis of the disease and doctors should be consulted before arriving at a decision.